The wife of an Army marksman came within two points of reaching the first medal podium of the London Olympics. Jamie Gray, wife of Staff Sgt. Henry Gray of the Army Marksmanship Unit, finished fifth in the women’s 10-meter air rifle event Saturday, posting a score of 499.7 over her qualifying and final rounds. China’s Yi Siling took the gold with a score of 502.9. Poland’s Sylwia Bogacka led after qualifying and ended up with the sliver, and China’s Yu Dan took bronze with a two-round score of 501.5. Get full results here. Gray, who took fourth in the air rifle event in Beijing in 2008, returns to the Royal Artillery Barracks on Aug. 4 to compete in the 50-meter three-position event. 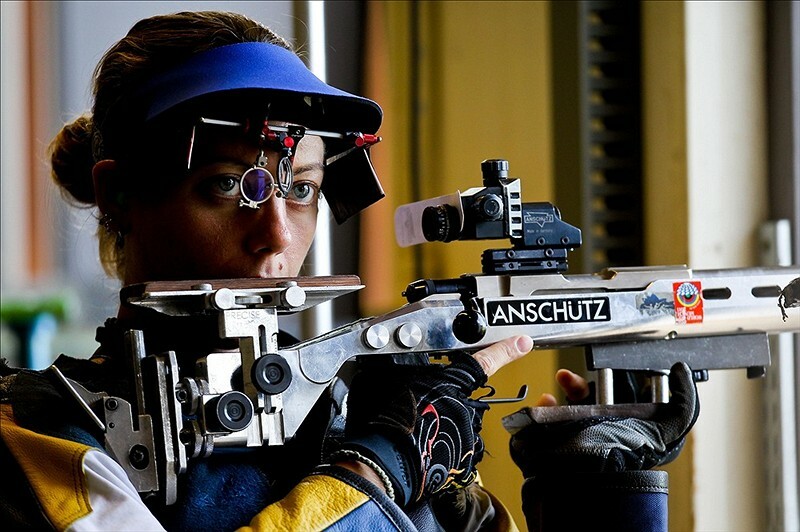 She was fifth in that event in the last Olympics, according to her USA Shooting bio. Army Sgt. 1st Class Daryl Szarenski will also get a second chance at the medal stand after failing to qualify Saturday for the finals of the 10-meter air pistol. His 525-point effort was eight points off the last qualifying spot. The Army World Class Athlete Program shooter will compete in the 50-meter free pistol event Aug. 5. His seventh-place finish in London at the 2012 World Cup event would be enough to get him past the qualifying round and into medal contention. Stay with After Action as we try to keep up with the military-athlete contingent, and remember to bookmark this link for easy access to athlete bios, and to find out which service members are up next for Olympic gold.